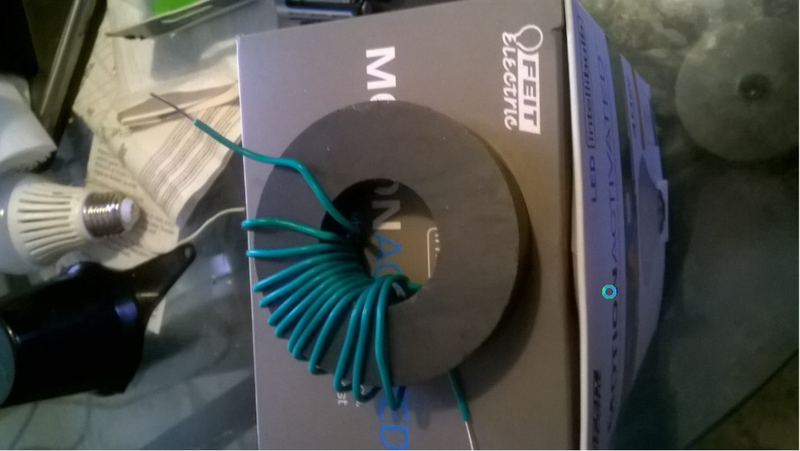 Coils can also be made without ferrite cores, but ferrite cores are more efficient and take less windings. Battery voltage only goes to the center tap. The core diameter used is 10 mm and may be available on Ebay. 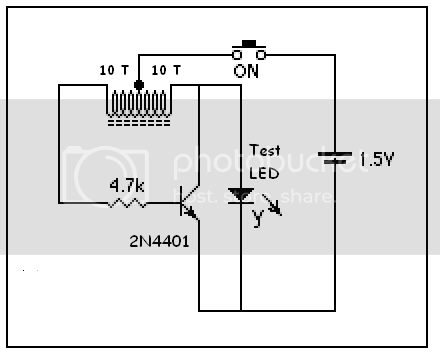 A dual pin header is used to test new LED's and compare similar brightness levels for projects. The switch sends power to the coil's center tap. 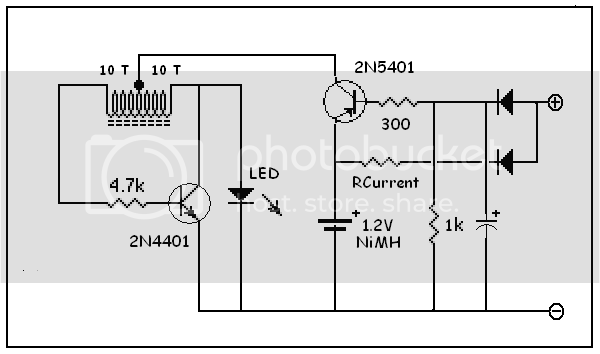 This circuit could also be used for flashlights to save battery usage. 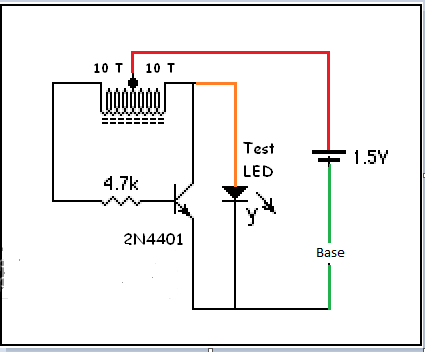 When a lower voltage LED is tested, bright ones will go dimmer as current takes the path of least resistance. 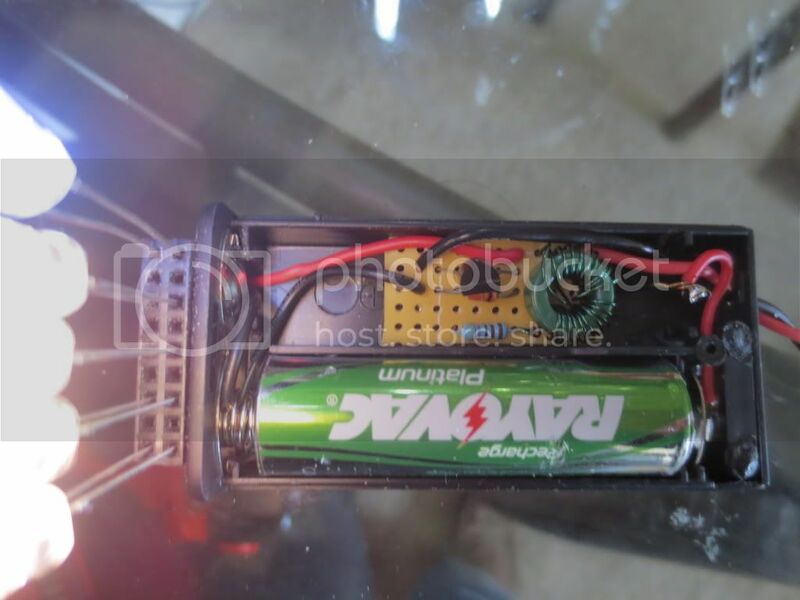 The circuit can replace the battery closest to the LED like this AAA battery box I was using 2 batteries in until today. (as shown) will drain it prematurely. I found 200 microamps being drained so I changed it. 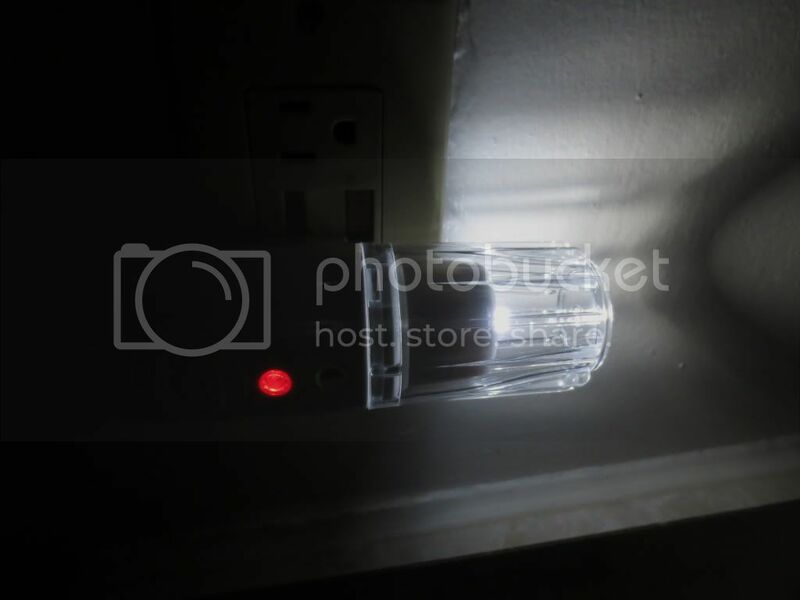 requires the positive voltage to the center tap and a common wire to the emitter and cathode of the LED. 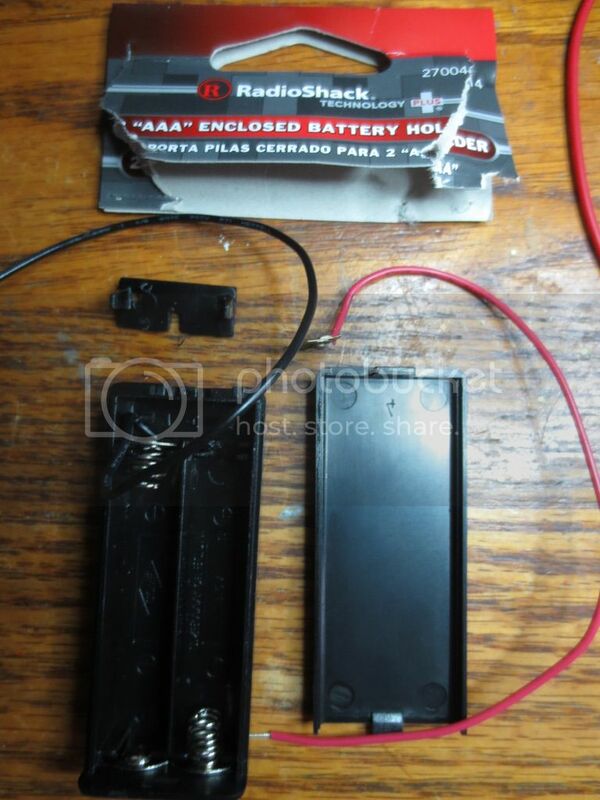 Switches should isolate the battery from the circuit board, plus or minus. Most flashlights switch the common. Last edited by burger2227 on Thu May 16, 2013 11:29 am, edited 2 times in total. cathode leg may be wide enough to slip into the side slot. I had to cut the notch out a bit for some leads. 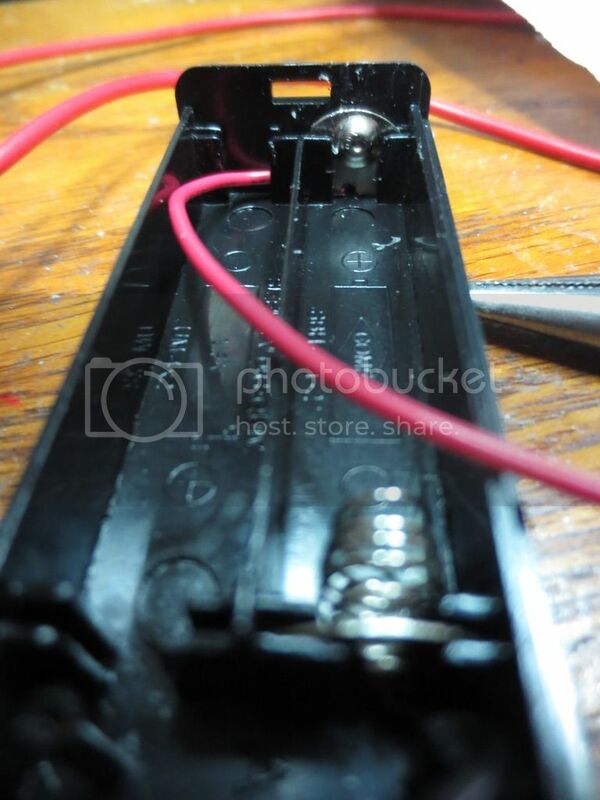 connect the negative AA battery end to the lower part of the switch or the spring used by D cells. I used a 2 AA battery holder to keep the circuit protected and soldered the coil center tap to the spring of the leading battery. This will give the positive 1.5 volts from the second battery in the holder as the circuit is in the first battery's holding place. The battery minus wire goes to the bottom spring. Use extra wire to allow the wire to be twisted when the end is screwed back on. coming from the switch to the reflector. The reflector back may be used as common too, but is hard to solder. 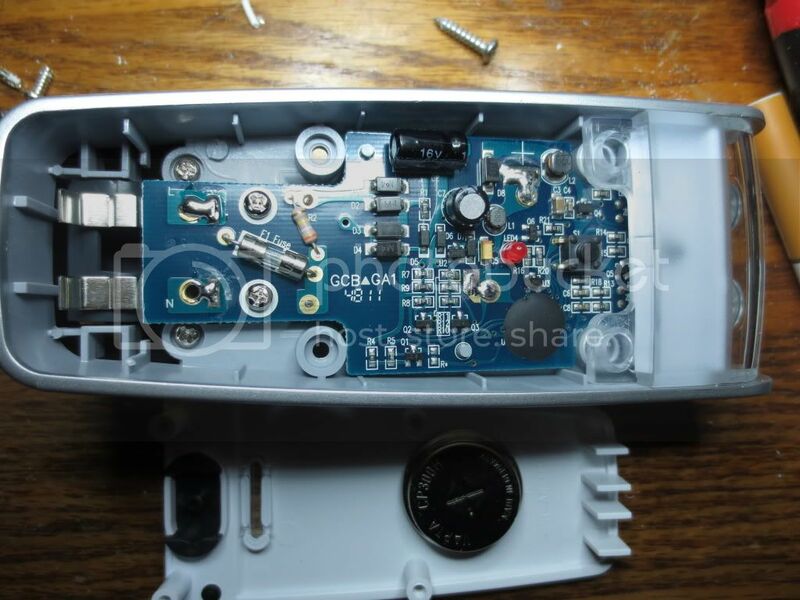 side of the flashlight switch. The bus does not move with the switch. 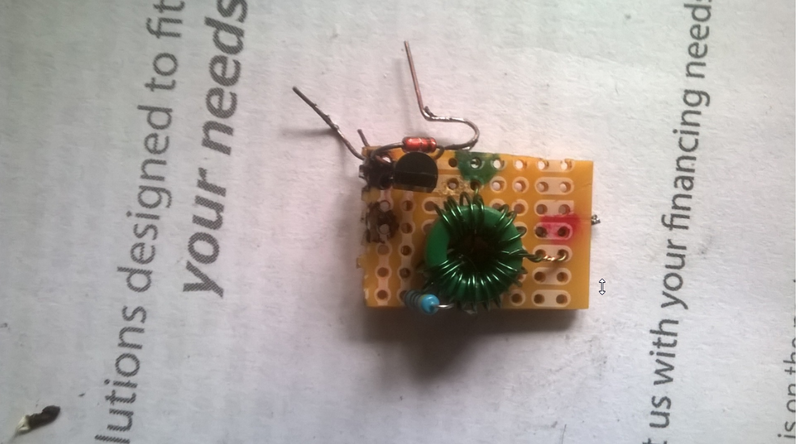 If it did, I would have had to solder it. the LED bulb base tab directly as shown at the bottom of the picture above. Final product with a bright bluish white LED. 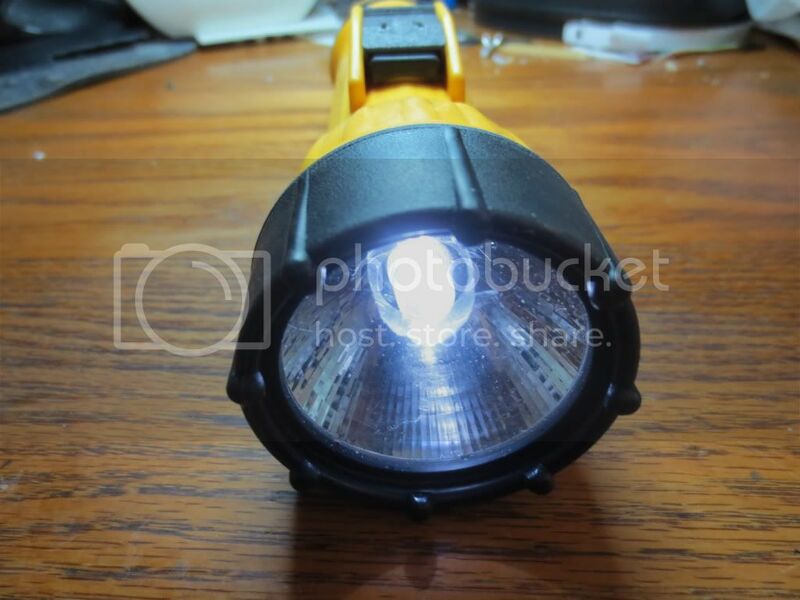 My next project will make a rechargeable flashlight that comes on when the electric power goes off. It will incorporate the trickle charging AC circuit I used with the power failure outlet boxes. 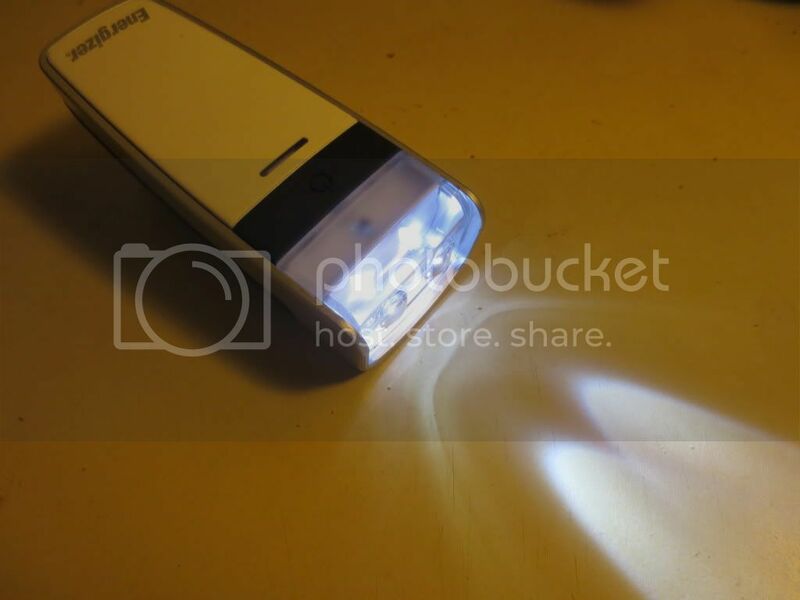 Yes, You are my inspiration for learning more about led flashlights. 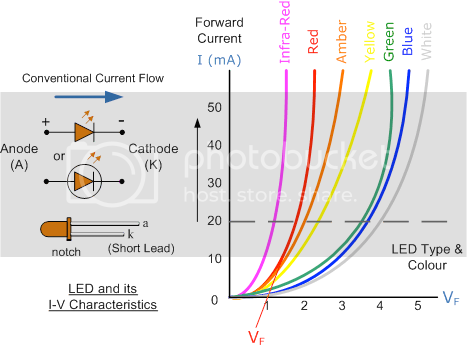 to about 30 milliamps even with multiple LED's in parallel. The only problem would be that the existing LED is probably wired the other direction when 2 batteries were used. The LED must be reversed in existing flashlights so that the anode goes to the negative battery terminal through the switch. It is lit from both sides for a few seconds so it is hard to get a picture of. 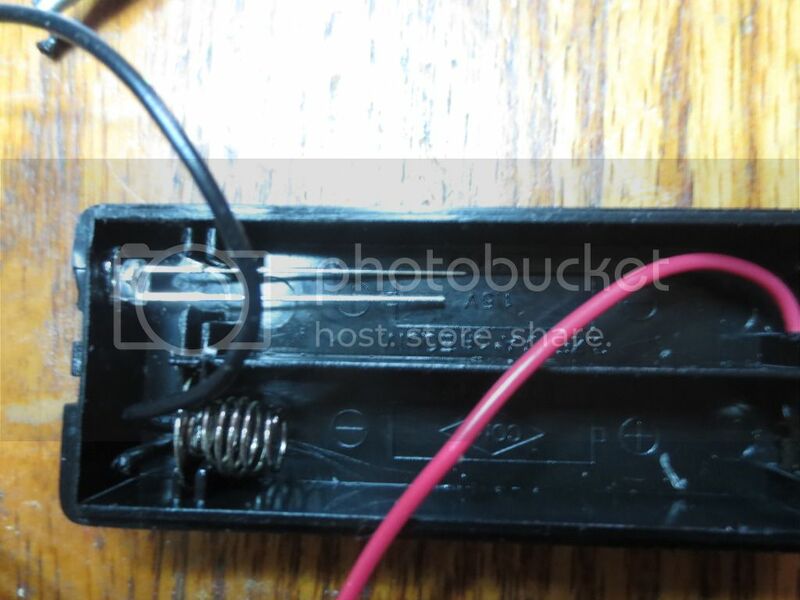 There are two lights for back lighting on each side with the red and black wires. I was able to remove one bulb from the side because the tape had pulled out already. 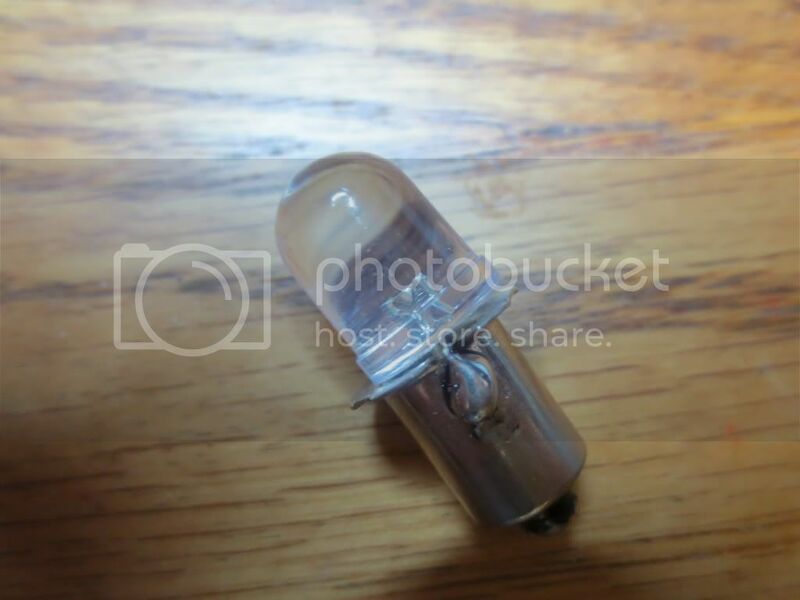 It looks more like a light bulb than an LED! 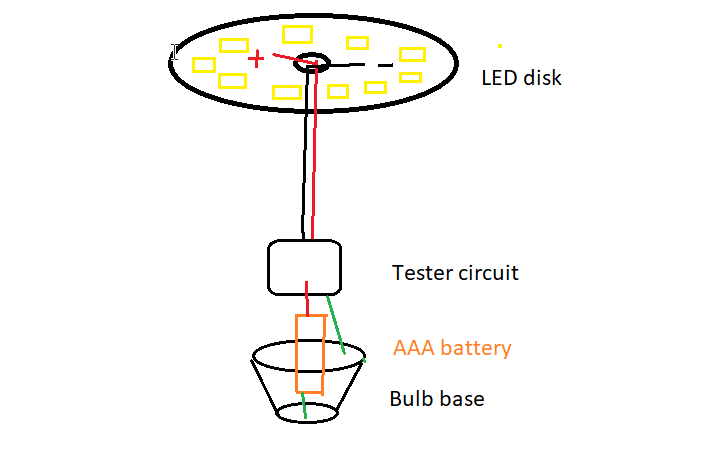 First I will try to use one of my solar panels to switch on and charge an external LED circuit using one AA battery. 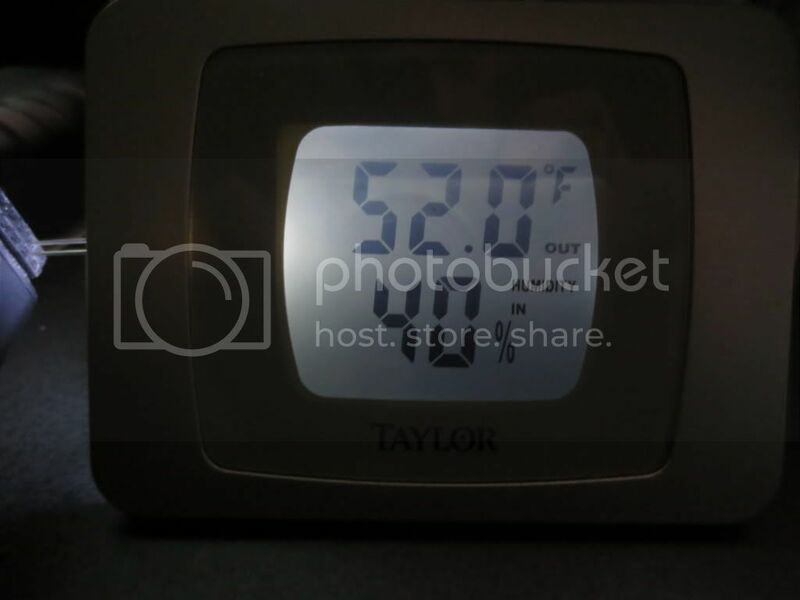 The bright LED will be the only thing mounted inside of the thermometer. The battery holder circuit will be behind it. be enough light. A single battery with daylight switching should last a week. I tested how it would look with a blueish while bright LED in my LED tester in this thread. 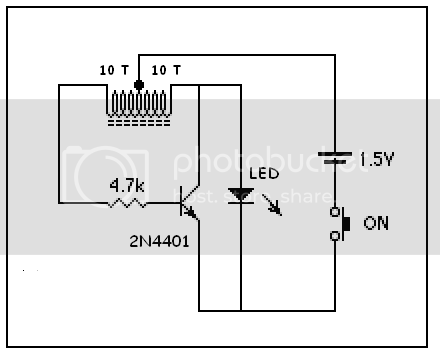 If the solar panel does not work out I can always change the circuit to a 3 volt photocell activated circuit that will last a month. Night light has no room light sensor. The red LED in the slot indicates charging. It does not block other receptacles. 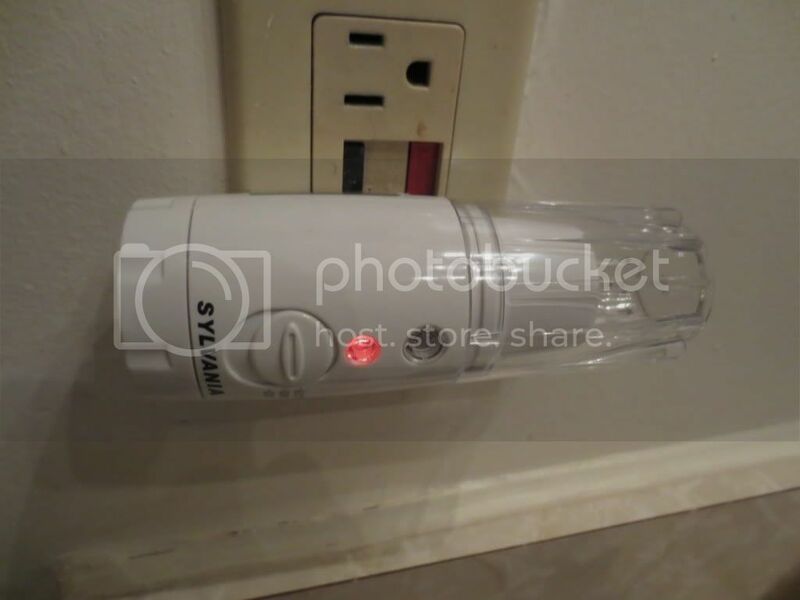 also turn off the night light which only comes on when the unit is plugged into the wall. Wish it went off to room light. The LED end is clear plastic and clipped together somehow so it might crack if I try to pry it. 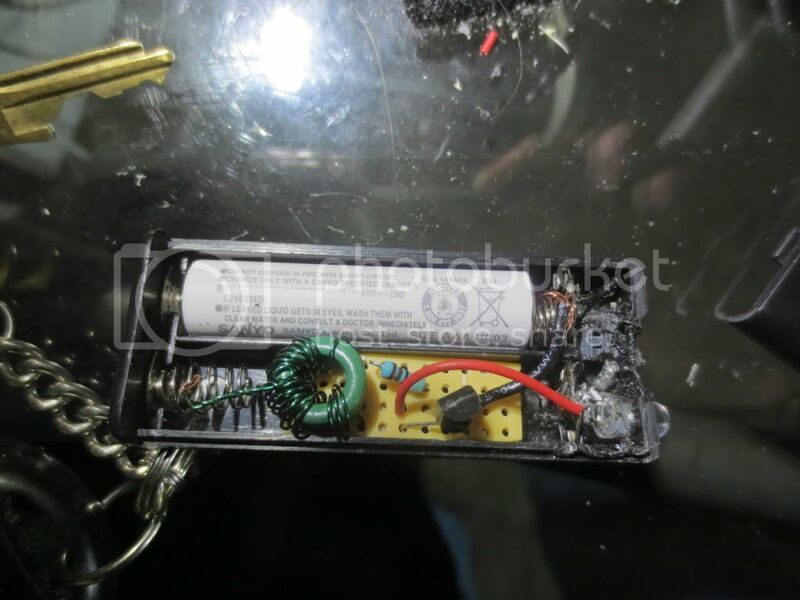 Note that there are coils for each bright LED function to boost the battery voltage from 1.5 volts. The above light quit charging so I adapted it to use a battery instead! From Amazon comments it has 3 100 mah button batteries stacked horizontally in a pack that will eventually break apart. 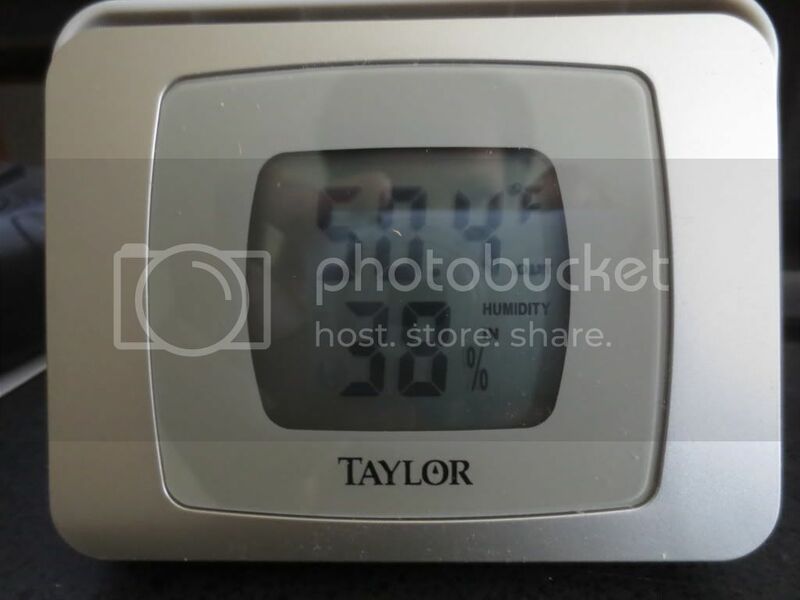 I suppose that happens from heat when charging the batteries for months at a time. 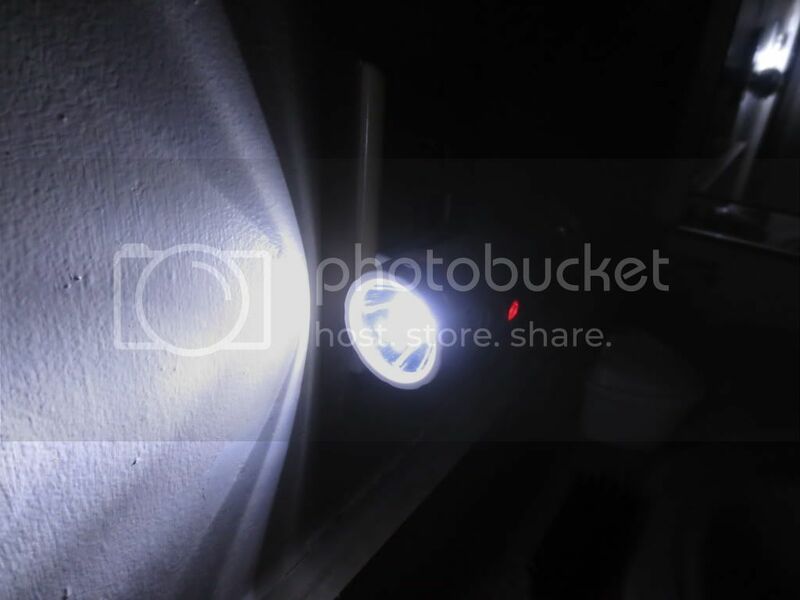 This light took the easy way out and put in more batteries than Joule thieves... I fear it is doomed. 2 AAA batteries with a 5252F chip may be all it needs if I can get it apart without destroying it! I will be evaluating both to see how they last and will update when necessary. 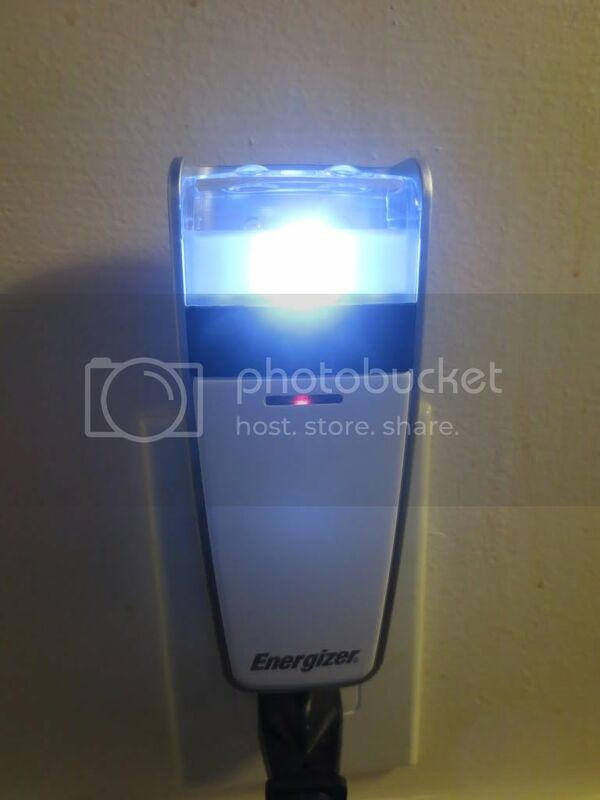 Exactly one year later, the Energizer emergency light quit working. 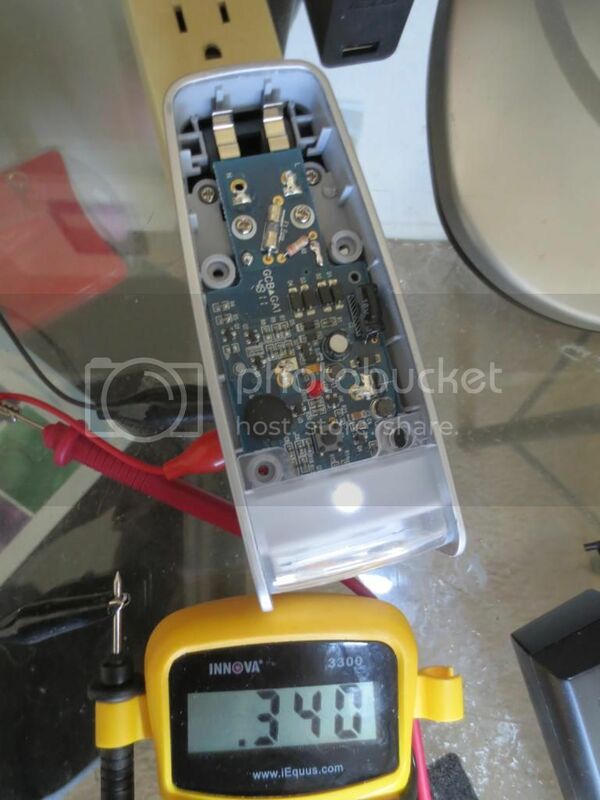 The problem was the CP300H 1.2 volt battery! 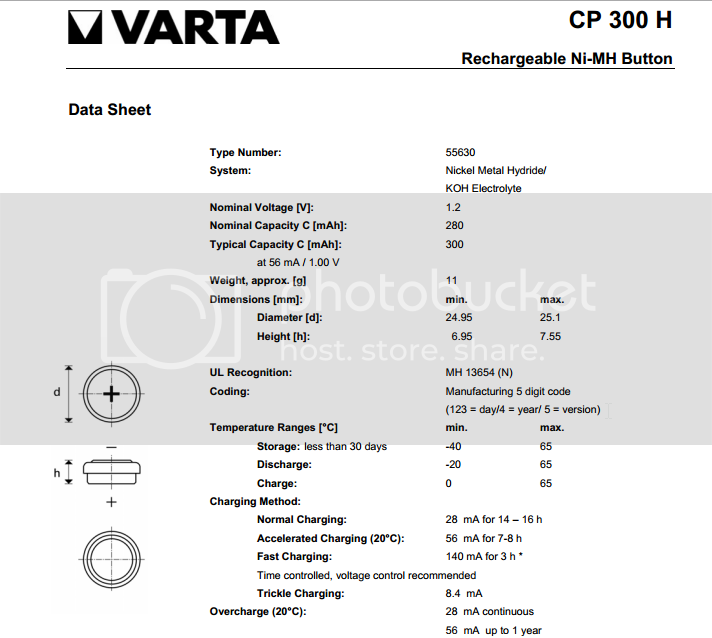 Supposedly the battery should last up to 5 years on trickle charge of only 8.5 ma. Amazon sold out. sand off the covering with my Sonicrafter reciprocating tool to see if I had enough room to add a AAA battery holder. After: The reciprocating sander worked well and limited damage to components. Note the sanding marks on bottom of capacitor. 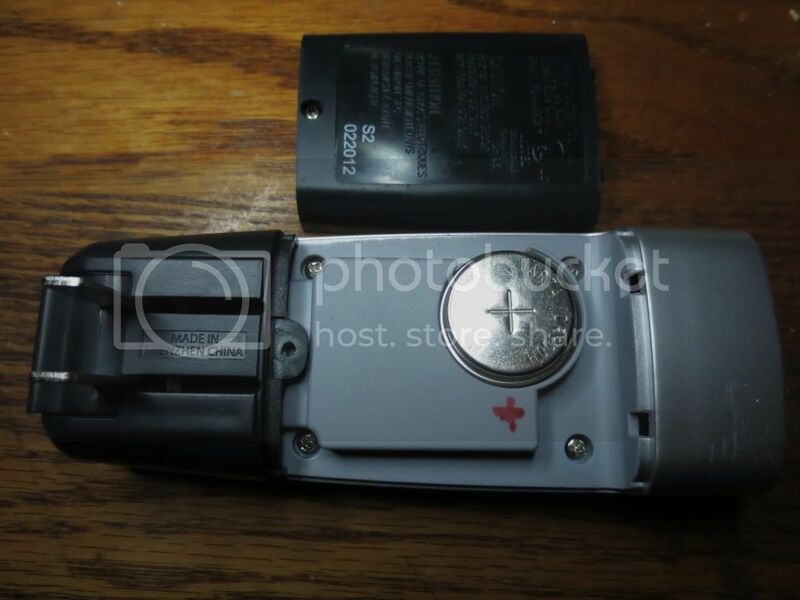 Instead of a AAA holder, I used a 23AE 12 volt battery holder and cut it on half to connect a AAA battery in between. I had to cut all of the casing below the battery so that it would sit below the cover plate properly and hot glued in place. By moving the 205K capacitor a tiny bit I was also able to preserve the battery holder for the CP300H. would not stay on the metal contacts directly. 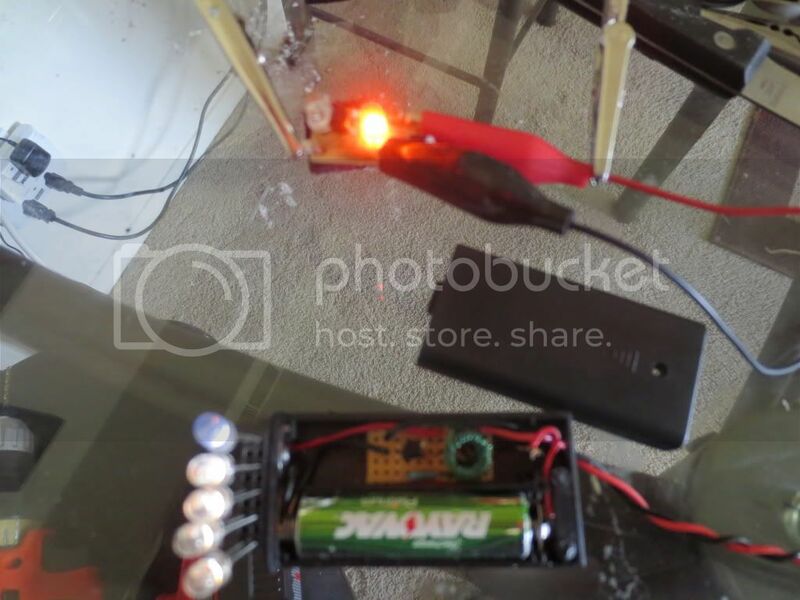 .340 volts is hardly going to charge anything, but the charging circuit is most likely regulated as the red LED indicates. 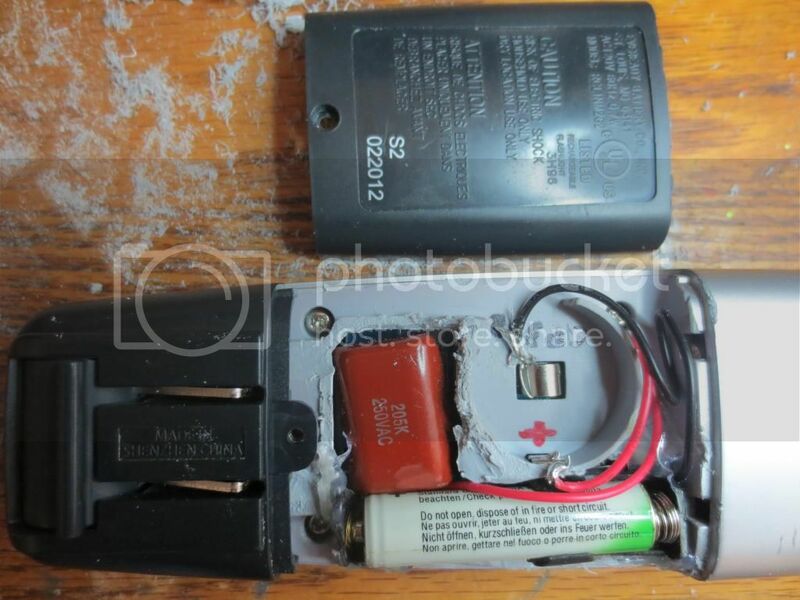 Both AAA batteries could be recharged after removing them from the unit. The side white LED would go dim too. I decided its power backup days were over and inserted a AAA alkaline battery and taped the 110 volt prongs shut. The Sylvania Power Failure Night Light is still working fine! The store clerks seem to have problems scanning it on my phone, but I have gotten both discounts. First I removed a plate holding the wires by heating 2 pins with a soldering iron to remove it on left. Then I completely removed the red positive wire and plate by pulling it up with needle nose pliers. Now the right side will hold one AAA battery and the left will hold the 5252 F solar chip circuit and LED. 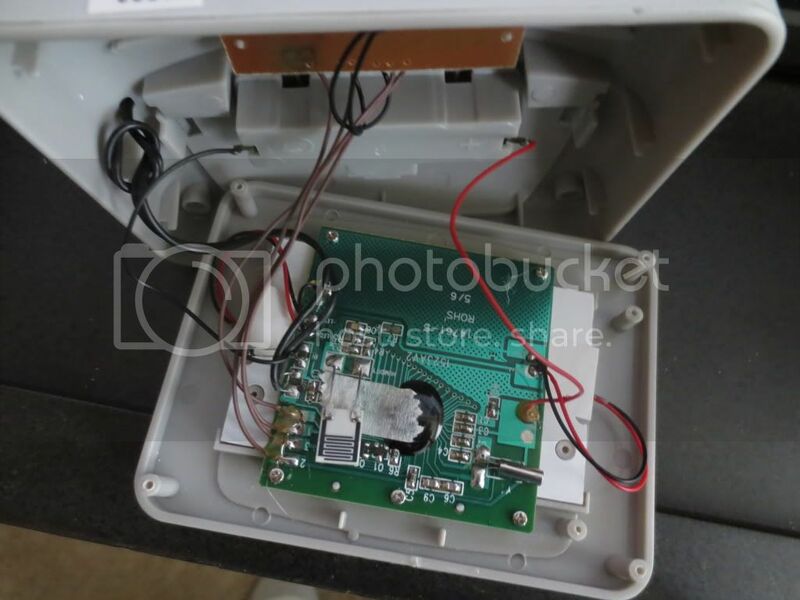 It will also use a small push button tact switch to connect the common wire to the chip circuit to turn it on. Remember that the 5252 F chip common would drain the battery more if it were always connected to it! BAT is pin 2, GND is pin 3 and LX is pin 4. I will use the configuration on the left as it only needs one battery. above the switch on them too. Some newer LED lights use the wrong configuration unfortunately. 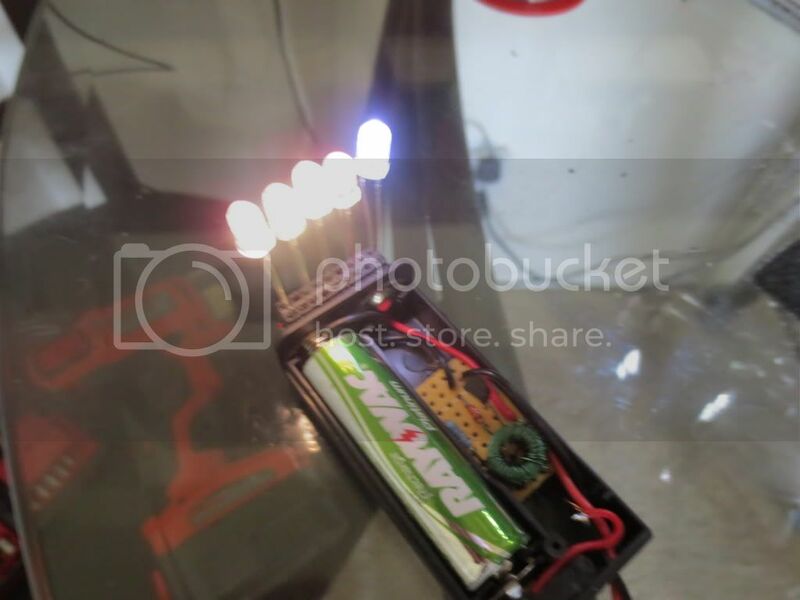 Ever hear of or see those FAKE web tutorials on YouTube using LED bulbs and magnets for "FREE ENERGY"? I made a fake set up using a dead LED bulb where my LED tester actually found all of the LED's were still good. my circuit. 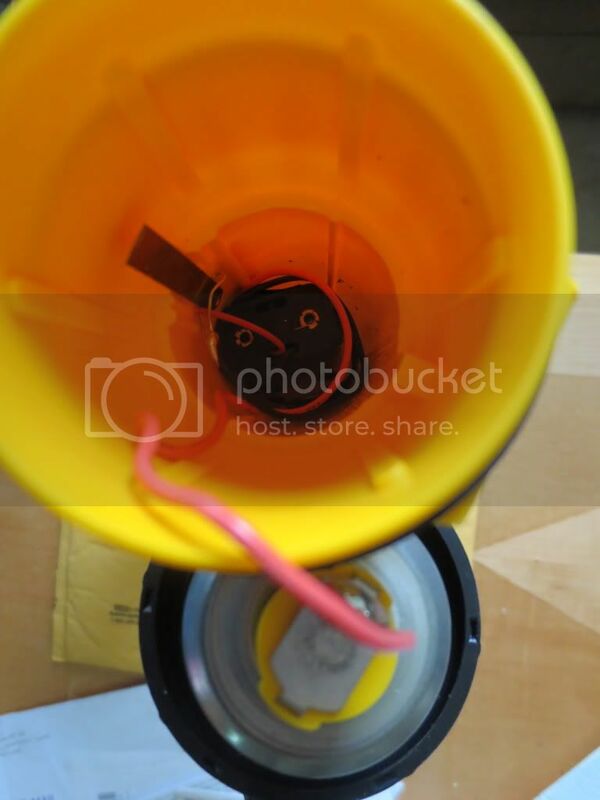 Then all you need is to jumper the threads to the socket center to light the bulb. 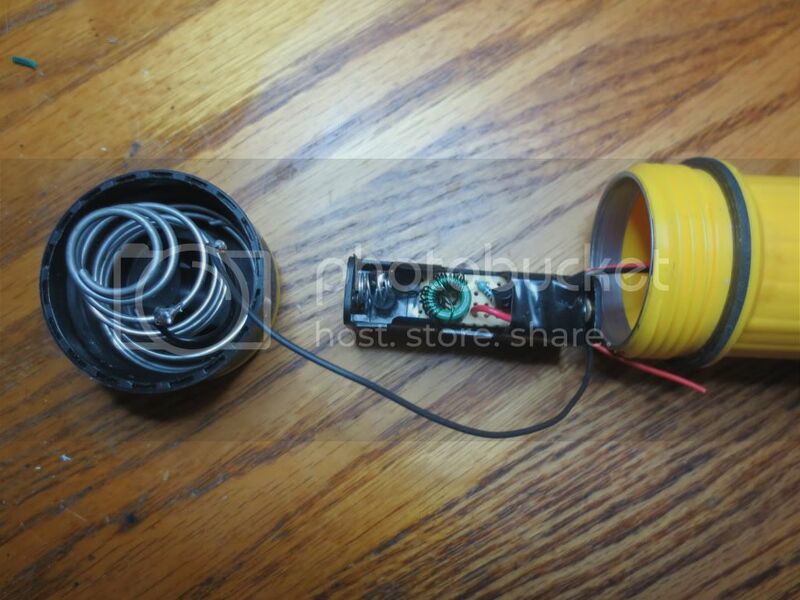 Note: You must use the tester circuit with a wound #26 gauge coil with one 1.5 volt battery! I took a spring with wire from a AA battery holder and soldered it to the base bottom wire for the negative AAA battery. I used plumbers putty to hold the spring to center it inside the base. 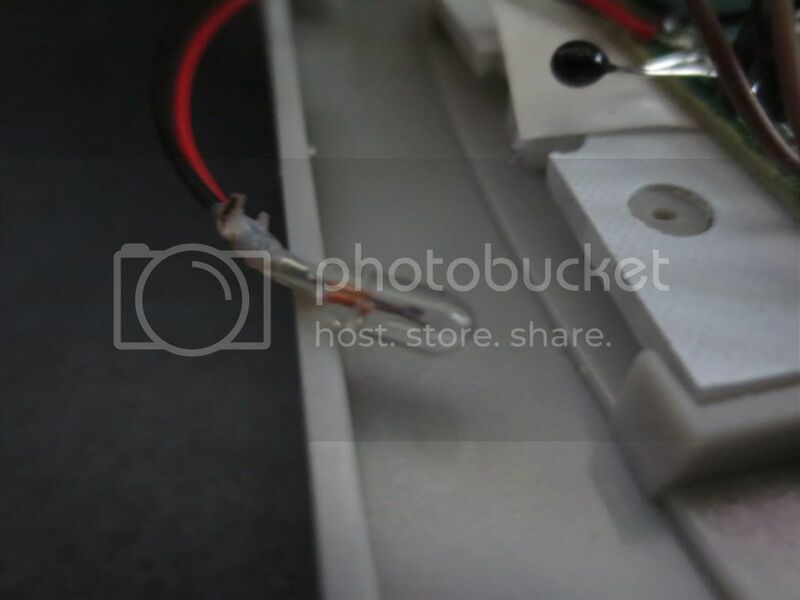 Putty can also be used to hold the + wire on top. Mark the LED bulb so that it will not be used in 110 volt sockets!